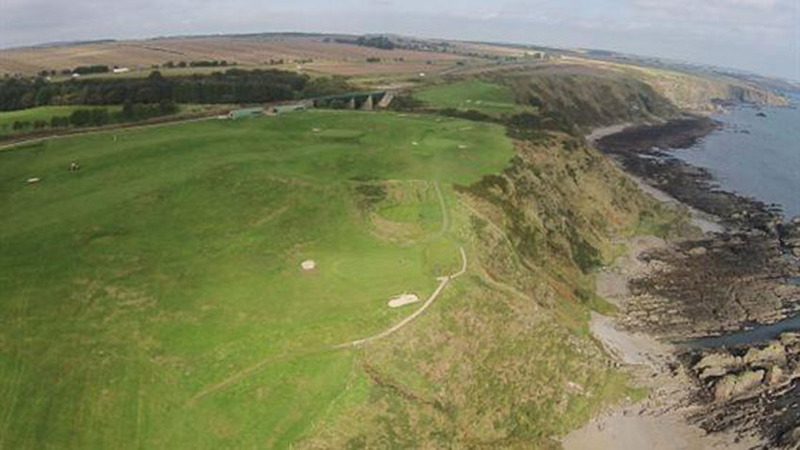 There’s a surprise in store for visitors to the Aberdeen area in Scotland—an “executive golf” course set on a site so spectacular that its not anywhere near hyperbole to com-pare it to Pebble Beach! 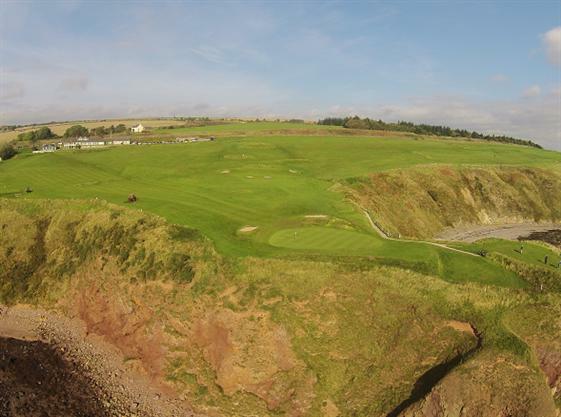 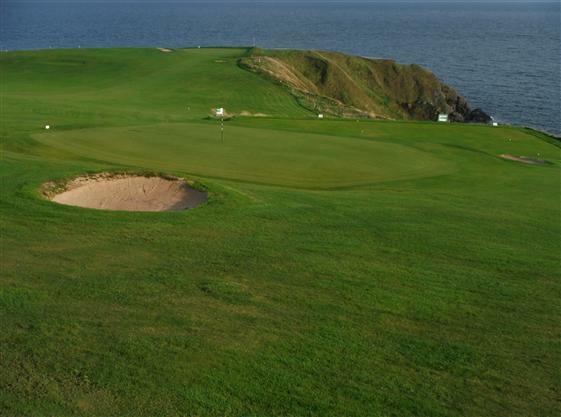 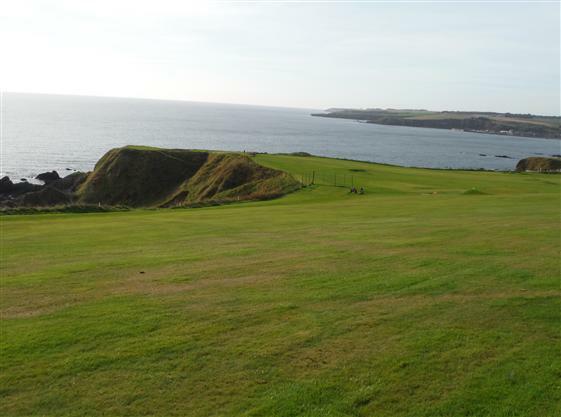 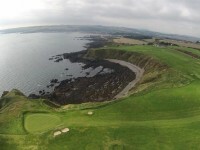 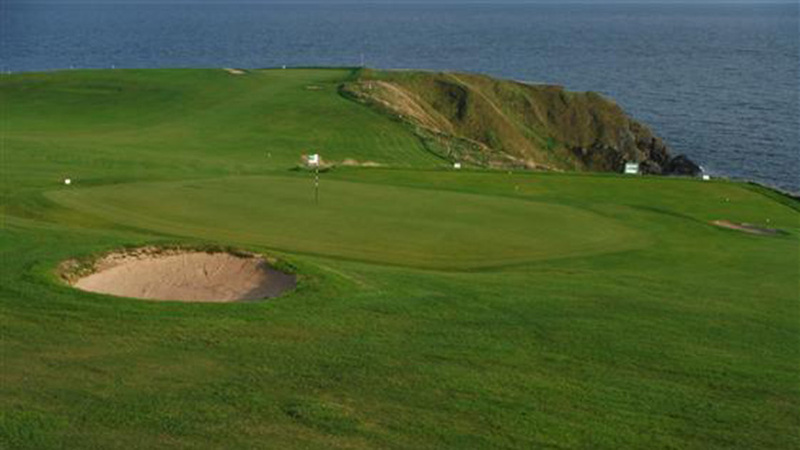 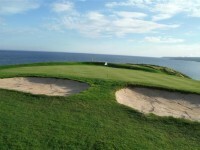 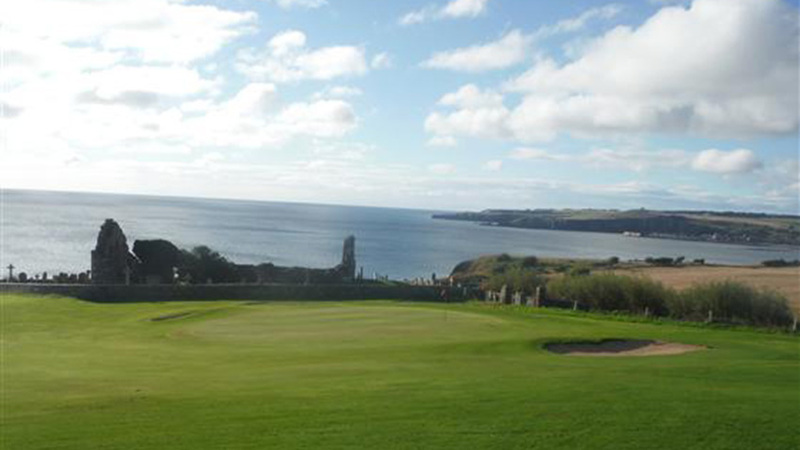 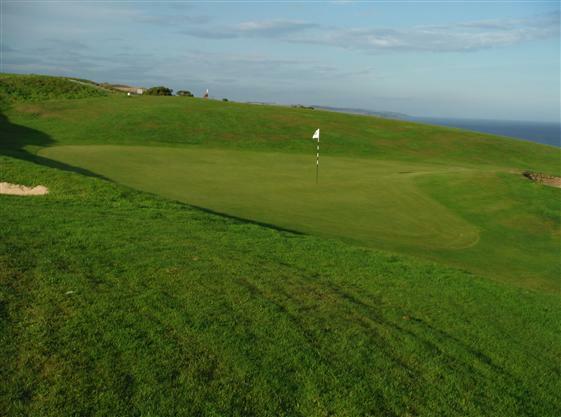 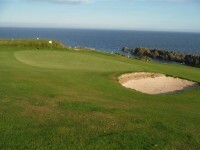 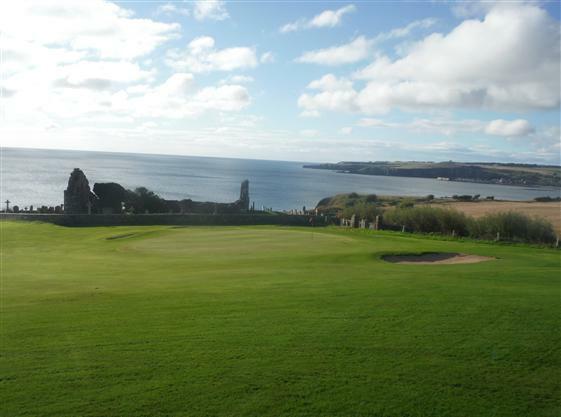 This is Stonehaven Golf Club in Stonehaven Scotland and for the cost of just a few holes at one of the Open venues you can play 18 holes in a setting nearly unrivaled in terms of just how high the holes play above the sea. 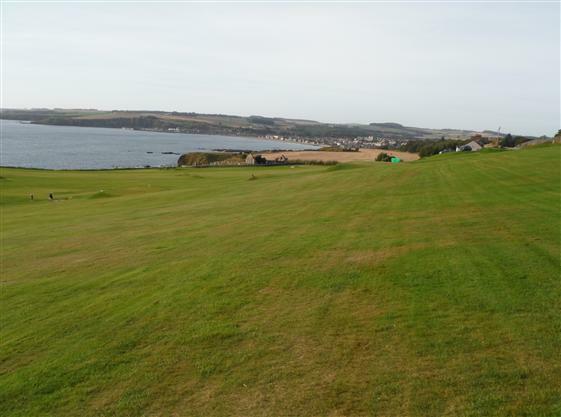 At barely 5000 yards and with 7 par 3s, you obviously don’t come to Stonehaven Golf Club to play championship golf. 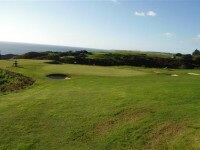 Rather, this is just a highly enjoyable, extremely memorable round with the locals. 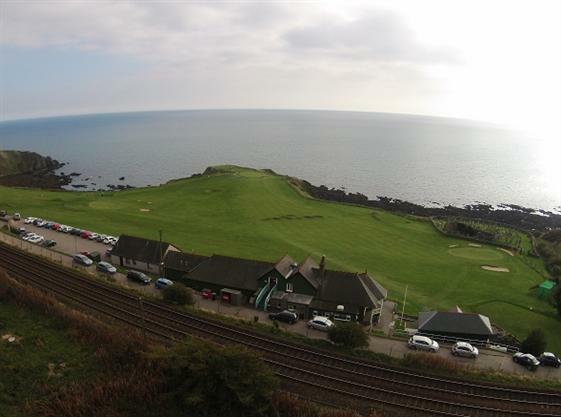 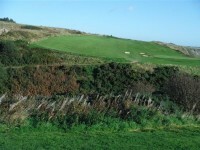 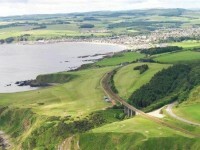 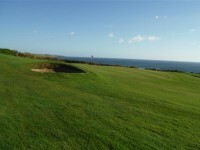 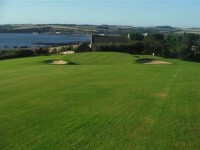 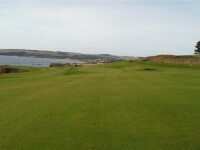 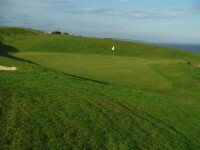 It’s also a chance to break 80, par at Stonehaven Golf Club is only 64! 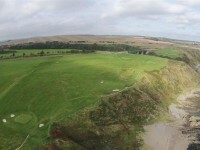 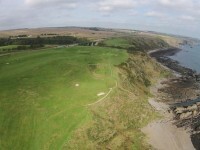 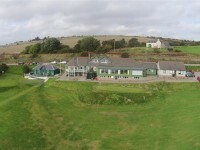 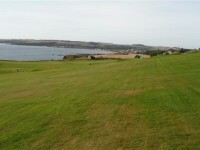 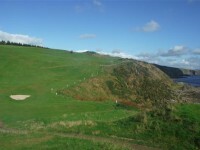 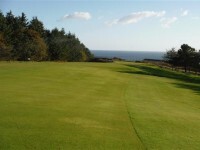 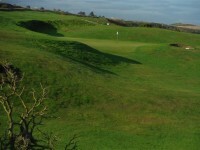 But Stonehaven Golf Club is still challenging. 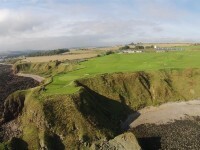 The par-3 15th, called Gully Cup, would fit in on any of the Open Championship venues in Scotland, all carry across the Gully from a tee located next to the original clubhouse ruins, of which only a chimney remains. 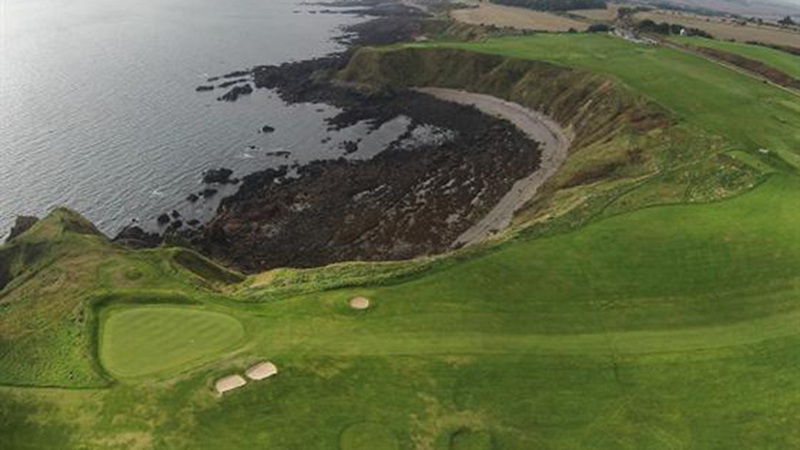 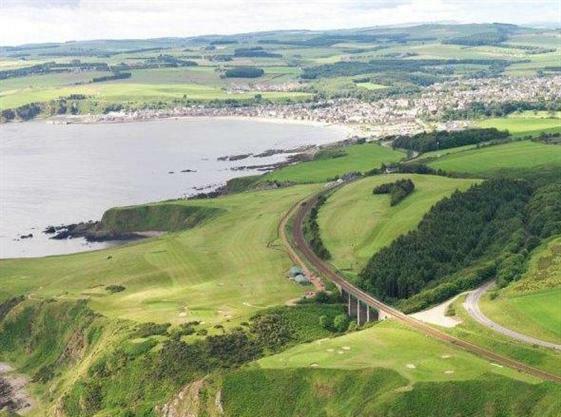 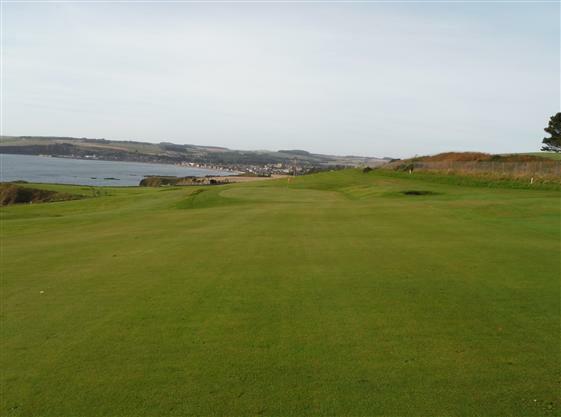 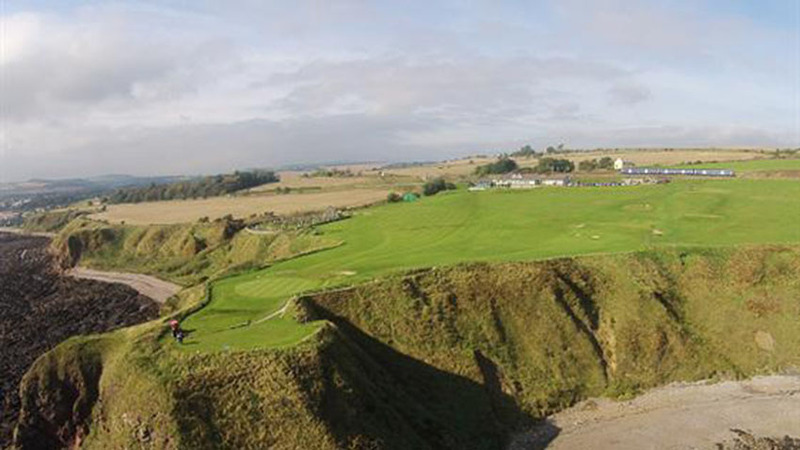 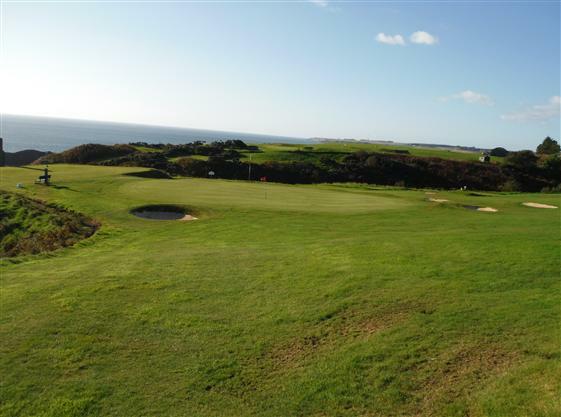 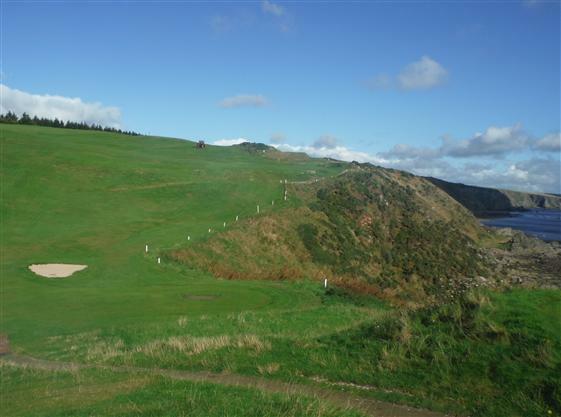 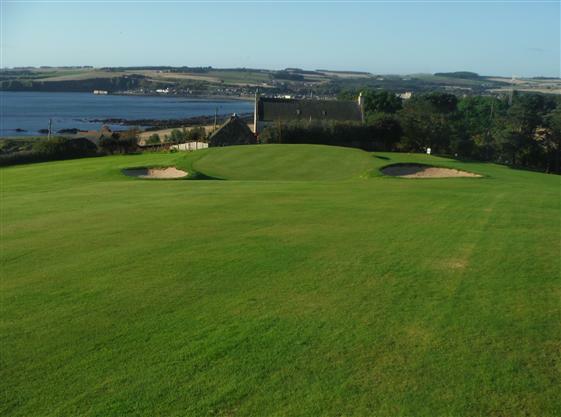 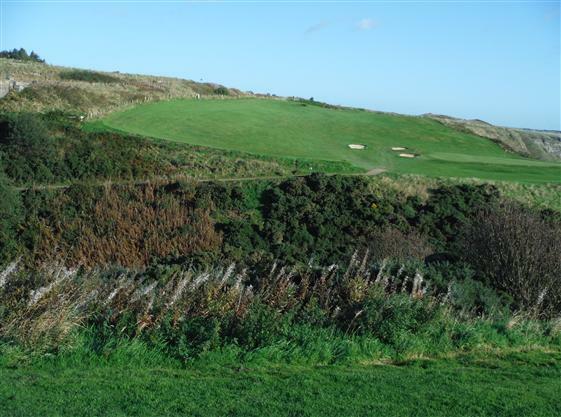 This is just one highlight of a round you won’t regret…if you’re driving by Stonehaven while in the Aberdeen area of Scotland, veer off the main road just a bit and check out Stonehaven Golf Club!